Sohar Port and Freezone enjoys an enviable position when it comes to maritime geography, constantly looking to expands Oman's logistics horizons. After several years of over-supply and low freight rates, shipping lines appear to be regaining some leverage, but experts warn that it may mean more than just higher rates for freight forwarders. 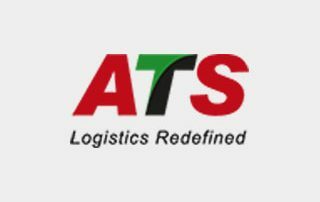 The integrated logistics and supply chain company ATS has received the Top Customer Award from CMA CGM as a token of their support in 2016. 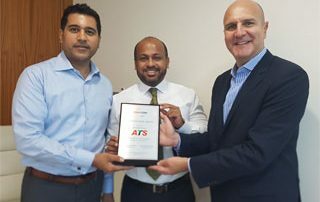 UAE-based ATS, a leading integrated logistics company, said it was recently honoured with the ‘Top Customer Award’ from France-based CMA, a leading worldwide shipping group, as a token of their support in 2016. The award was given by CMA general manager Alain Aurosseau to Amit Gandhi, CEO of ATS World and Santanu Datta, director ATS World. 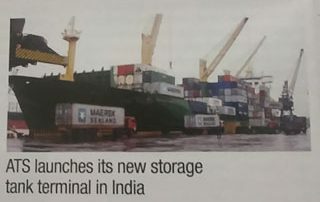 ATS commences operations for the new storage tank terminal which is strategically situated in the emerging oil storage and trading location of New Mangalore Port, India. 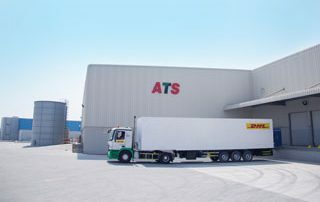 ATS' new warehouse in Jebel Ali South Zone can accommodate 10,000 pallet positions for general and temperature controlled cargo.